Author: McCauley, William Set In . . .
For several years, Robert Kelley lived a primitive and contented life in a fishing village in the mangrove swamps of Sierra Leone. There, he developed and managed a project that built a cooperative fisheries station to support remote coastal villages. His development work done, he reluctantly turns the station over to the corrupt government Fisheries Division, whom he knows from experience will simply steal its resources and go away, leaving the villagers poorer than ever. He travels to Freetown, the capital, to present his last report to his employer, an English development agency, and leave Sierra Leone for Mali to join Marie, with whom he's had an intermittent and intense love affair. But when he arrives in Freetown, his superior offers him another position, establishing and managing a new project in the heart of a politically unstable region of the country. Robert hesitates to accept, for he has already committed himself to joining Marie. His decision embroils him in unexpected and violent consequences. 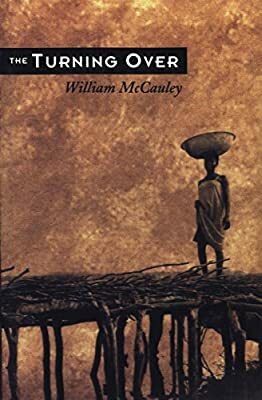 This love story of two expatriates is set against a lushly pictured West Africa in which the echoes of colonial, and even pre-colonial, life are still evident in the corrupting power of the Big Man and the equally corrupting privilege that surrounds white expatriate life. The Turning Over vividly portrays the last vestiges of that epoch in a world disintegrating into chaos.